You are here: Home » OTHER NEWS » The Airport in Bihac to be completed in 2-3 years? Prime Minister of the FBiH Fadil Novalic noted that he is expecting that the Airport”Golubic” in Bihac will be finished in the next 2-3 years and he added that the Government of FBiH will do everything in its power to make it happen. “We want to further intensify activities related to the construction of this airport, especially considering the situation on our three other airports in the FBiH: Mostar, Tuzla and Sarajevo. We have a real explosion when it comes to number of passengers, for example, Tuzla had a total of 40,000 passengers just four years ago, and today we have 500,000 passengers on that airport and it is really incredible to observe how that figure is growing,” stated Novalic. 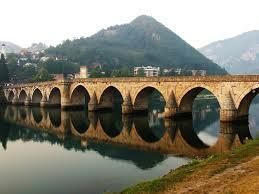 He noted that the distance between Sarajevo and Bihac represents a reason for the development of air traffic. Large diaspora from this part of BiH that should be connected with the homeland was noted as an additional aspect for the construction of the airport. He also stated that the activities on the construction of the airport are conducted faster than expected and that the Government of FBiH will not give up on its strategy in regard to this project. Mayor of Bihac Suhret Fazlic stated that he is encouraged with the approach of the Government of FBiH and Prime Minister Novalic, and that he believes that this airport will be constructed as planned. “Whether it will happen in two or five years, that is a real question. However, the way in which we started with our work, far away from the public and without glam, with small steps and patience, and with the money from the Government of FBiH, is really promising. I think that the airport is no longer a fiction thing, but a realistic story and it will be finished,” stated Fazlic.